LEXINGTON, Ky. (Oct. 23, 2018) — The critically acclaimed University of Kentucky Symphony Orchestra, conducted by Maestro John Nardolillo, will continue its centennial concert season with Camille Saint-Saëns’ “Organ” Symphony featuring UK alumnus and organist Zach Ullery, director of music at the American Cathedral in Paris. The concert also features current and alumni UKSO conductors — Sey Ahn, Marcello Cormio, Jan Pellant and João Carlos Rocha. The concert program will also include Gioachino Rossini’s overture to “La Gazza Ladra,” Antonín Dvorak’s Slavonic Dance No. 3, Felix Mendelssohn’s “The Hebrides” “Fingal’s Cave,” and UK doctoral student João Carlos Rocha’s “Deliriamentos.” The concert will begin 7:30 p.m. Friday, Oct. 26, at the Singletary Center for the Arts. 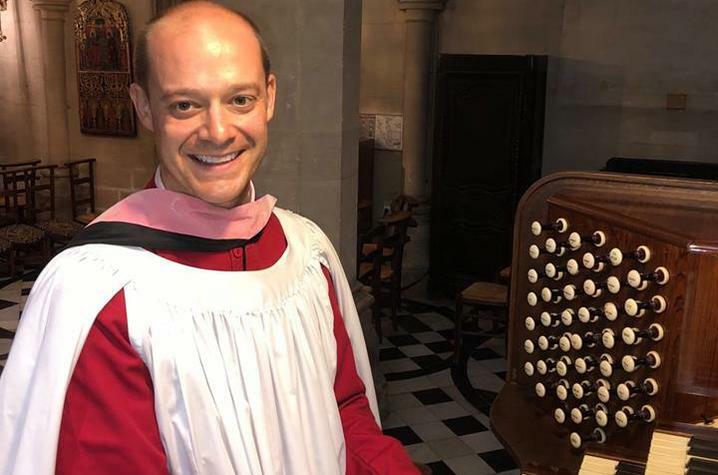 Zach Ullery serves as the canon for music at The American Cathedral in Paris (France) and the conductor of The Paris Choral Society. Ullery directs the cathedral’s extensive music program, which includes the Cathedral Choir, the Choirs for Youth and Children, and the music education programs. He is also the conductor of Paris Choral Society, an auditioned choir of more than 100 singers from over 14 nationalities that perform music from the choral/orchestral repertoire. 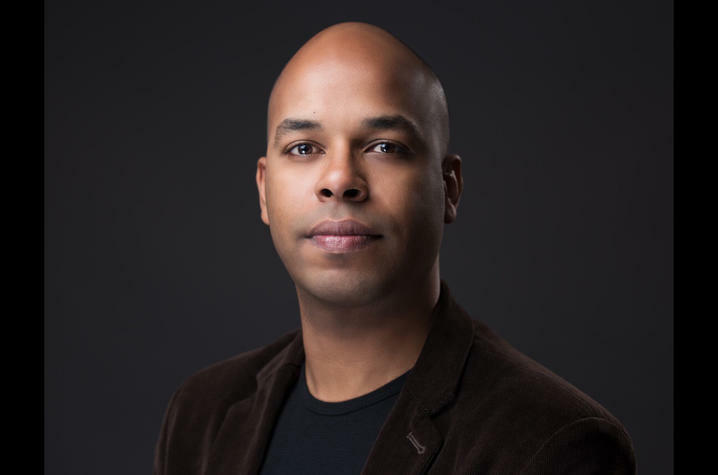 And, he serves as the artistic director of Les Arts George V, the cathedral’s arts organization that hosts over 100 concerts a year while serving on the board of The Royal School of Church Music in France. Ullery graduated from UK with a bachelor’s degree in music education (organ and voice emphasis) and studied choral conducting and music education for his master’s degree. From 2001-2008, he served as the assistant organist at Good Shepherd Episcopal Church in Lexington and was the choral director at Winchester’s George Rogers Clark High School from 2004-07. A 2015 fellow of the American Academy of Conducting at the Aspen Music Festival, Sey Ahn is the assistant conductor of the Idyllwild Arts Foundation’s Summer Music Festival and the Music for All Honor Orchestra of America. She recently served as the music director and professor of conducting at the University of California, Santa Barbara, and has been a guest conductor of the all-state orchestras of Colorado, Texas, New Mexico, Arizona, Tennessee, Iowa and Kentucky. Ahn has led orchestral performances in Walt Disney Concert Hall in Los Angeles; Benedict Music Tent in Aspen, Colorado; and Alice Tully Hall in New York. 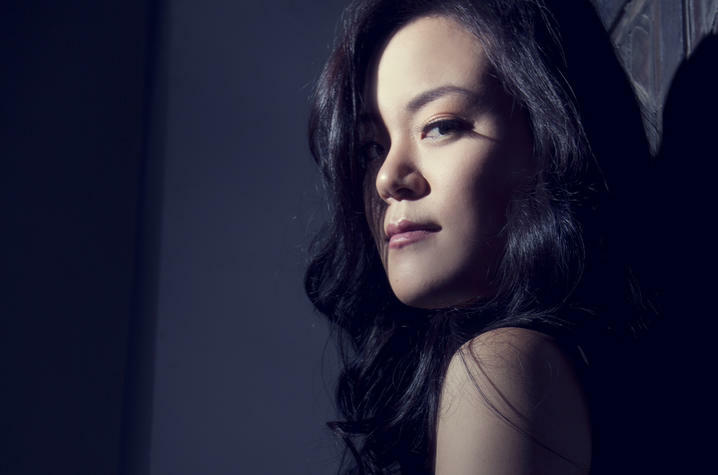 Ahn earned a bachelor’s degree in piano performance from Northwestern University and master’s degrees in piano and orchestral conducting from the University of Southern California, where she was a student of Larry Livingston. She is currently pursuing a doctoral degree at UK, where she studies with John Nardolillo, and serves as assistant conductor to UK’s Symphony Orchestra, Philharmonia and Opera Theatre. Marcello Cormio is an Italian born conductor, opera coach, pianist and educator. As a symphonic conductor, he has appeared with such orchestras as the San Antonio Symphony, the Orchestra della Società dei Concerti di Bari, the Orchestra Sinfonica della Città Metropolitana di Bari, and the Bacau Symphony; he has also served as cover conductor for the Pittsburgh Symphony Orchestra. Cormio was head of the opera program at the West Virginia University in 2014-15, and is currently on the UK School of Music faculty as director of the UK Philharmonia. He is also the music director of the Central Kentucky Youth Orchestras and the artistic director of the Opera Lucca Festival in Lucca, Italy. Cormio holds graduate degrees in piano, composition, conducting and musicology from Italian conservatories and universities, as well as a master’s degree from Indiana University and a doctoral degree from UK, awarded in 2015. As artistic director of the Coeur d'Alene Symphony Orchestra, music director of the Lexington Chamber Orchestra and Summer Music Nights at the Bohemian Forests, Jan Pellant has conducted the Czech National Symphony Orchestra, Pilsen Philharmonic Orchestra, Ghana National Symphony Orchestra, Carnegie Mellon Philharmonic, Pittsburgh Bethel Park Orchestra and Orchestra Enigmatic, as well as orchestras in Thailand, Japan and the United States. A native of the Czech Republic, Pellant studied at the Prague Academy of the Performing Arts, and he holds degrees from the Prague Conservatory and Carnegie Mellon University. He has served on the faculty of the International Conservatory in Prague as conducting instructor and is a doctoral candidate in orchestra conducting at UK, where he has studied with John Nardolillo and served as a teaching assistant. 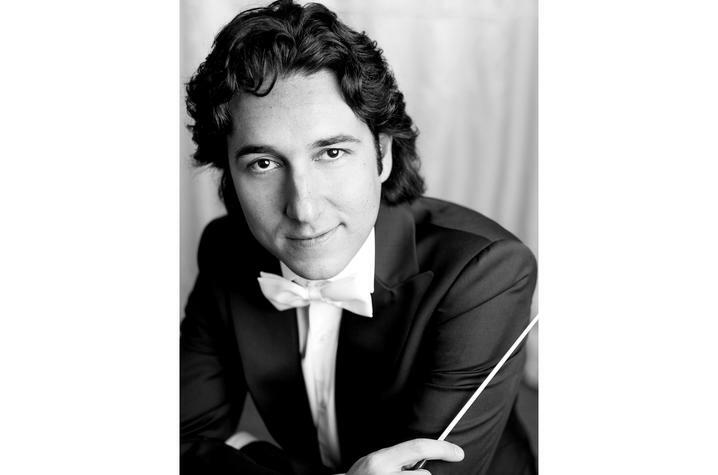 Conductor and composer João Carlos Rocha currently serves as the assistant conductor to the UK Symphony Orchestra. 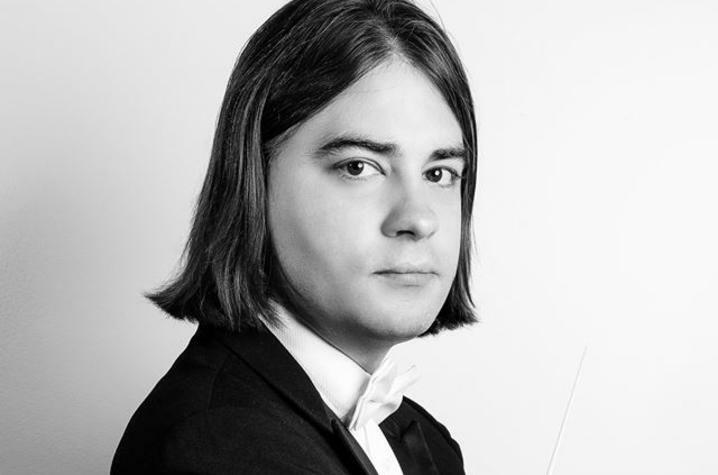 The UK doctoral candidate was the 2012 winner of the Eleazar de Carvalho's prize for young soloists and conductors. Rocha received the honor prize in the Maurice Ravel Composer's Competition for his "Post Mortem" as well as in the Brazilian Music Panorama for his "Deliriamentos" — both works for symphony orchestra. Originally from Brazil, Rocha earned his master’s degree at the College-Conservatory of Music Cincinnati. As a DAAD (German Academic Exchange Service) alumnus, he studied at the Hochschule für Musik und Theater Rostock and earned a bachelor’s degree at the State Univesity of Campinas (UNICAMP). Founded in 1918, the UK Symphony Orchestra is a 100-member all-student orchestra presenting more than 50 concerts each year, including classical, chamber and education concerts. The group is made up of undergraduate and graduate students from across the United States, Asia, South America and Europe. The orchestra has regularly performed with world-renowned concert artists including Itzhak Perlman, Lang Lang, Sarah Chang, Gil Shaham, Lynn Harrell, Marvin Hamlisch, Denyce Graves, Christine Brewer, Pink Martini, Ronan Tynan, Mark O’Connor, Wynonna Judd, Keith Lockhart and Arlo Guthrie. John Nardolillo has appeared with more than 30 of the country’s leading orchestras, including the Boston Pops, the National Symphony, and principal orchestras of Seattle, San Francisco, Detroit, Atlanta, Dallas, Milwaukee, Utah, Columbus, Indianapolis, Oregon, Fort Worth, Buffalo, Alabama, Louisville, Missouri, North Carolina, Toledo, Vermont, Columbus, Omaha and Hawaii. He also recently conducted concerts at the Kennedy Center in Washington, D.C.; the Kimmel Center in Philadelphia; and Carnegie Hall in New York. Nardolillo made his professional conducting debut in 1994 at the Sully Festival in France, and has since made conducting appearances in the United States, France, Germany, Italy, Norway, Sweden, Denmark and China. He has led major American orchestras in subscription series concerts, summer and pops concerts, education concerts and tours, and for television and radio broadcasts. In 2004, Nardolillo joined the faculty at the UK School of Music, where he is currently serving as the director of Orchestras. Doors for the UK Symphony Orchestra concert open 7 p.m. with music beginning at 7:30 p.m. Tickets are $10 for general admission, $5 for students, and free for UK students with a valid ID before the day of the performance (at the Singletary Center ticket office). Tickets are available through the Singletary Center ticket office online at www.scfatickets.com, by phone at 859-257-4929, or in person at the venue. Children 6 and older are welcome. UK Symphony Orchestra is part of the School of Music at the UK College of Fine Arts. Currently celebrating its 100th anniversary, the school has garnered a national reputation for high-caliber education in opera, choral and instrumental music performance, as well as music education, music therapy, composition, and theory and music history.